Change how you view health. Change how you view relaxation. 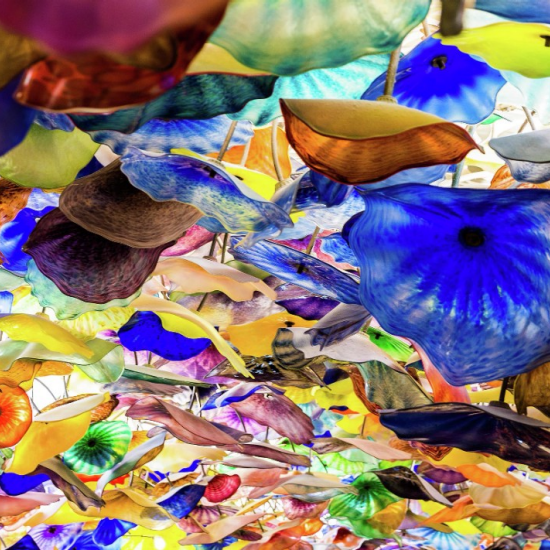 At Bellagio Spa & Salon, we take inspiration from our own Conservatory to align our services with nature, and gather rituals from far-off places with ancient traditions. We immerse you in the essence of each season, attentive to authenticity, ceremony, and the power of pausing in each beautiful moment – and in the pleasure of connection with every one of your senses. In tandem with our signature treatments, we are the only Spa in the region to offer rituals from global beauty atelier Cinq Mondes. And we are the ideal place to experience harmony and regeneration. There are showers and all the amenities needed. 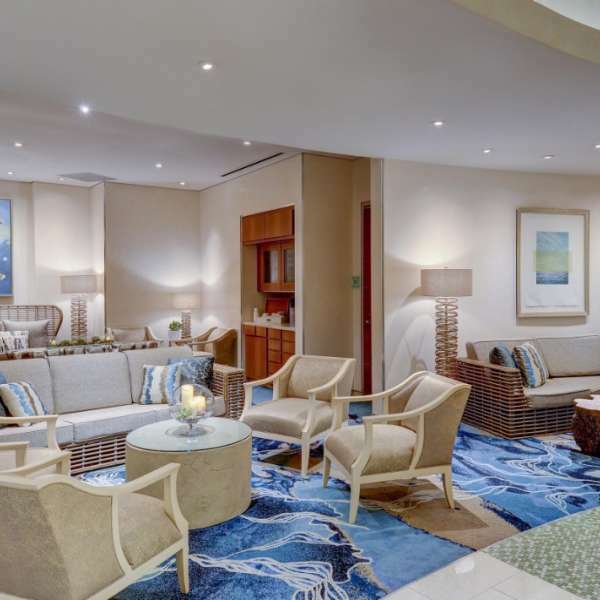 Our spa also offers an array of teas, coffee, and water for you to enjoy. *All guests must present valid form of identification for entrance of spa facility and must be 18 years of age or older. Exclusive Pricing Available Through May 31,2019. For details and to schedule an appointment, see a Spa or Salon Receptionist or dial extension 77472.
exfoliation, personalized mask, anti-wrinkle massage, moisturizing. professional blow dry, and rejuvenating hand and face masks. Pedicure will exfoliate and awaken your skin in revival. Your escape continues as your hands and feet are immersed in a warm wrap of intense hydration, followed with a nutrient rich body souffle massage. Finally, a delicate gold shimmer is applied leaving a sunkissed glow. Served with a glass of champagne and a chocolate dipped candied orange. Innovative. Immersive. Incomparable. Developed exclusively for Bellagio Spa & Salon, this pioneering seven-step treatment uses the science of mineral-rich gemstones to holistically rejuvenate skin. Enter a sensory journey as your face and body receive revitalizing benefits from unique formulations enriched with gemstones such as diamonds, rubies and sapphires. Skin is left balanced, renewed and luminous. Emerge as radiant as the gemstones themselves. Uses products from Gemology Cosmetics. Process incorporates cleansing, scrubs and massage. Immerse in a world of tranquility with an enveloping and relaxing escape used by Balinese princesses. Includes: skin facial, body polishing, enveloping Balinese massage. From the millennia-old Indian tradition, enjoy this treatment that helps to relieve muscles and encourages sound sleep. Includes: body scrub, tonifying Indian ayurvedic massage. Inherited from the Polynesian healers and inspired from Lomilomi, this blissful experience will leave you in instant relief with a note of Tiaré flower. Includes: body scrub, relieving sublime Polynesian massage, hot volcanic stones. This manual anti-wrinkle facial from ancestral the Japanese Ko Bi Do ritual is associated with a unique anti-aging active complex. Enjoy this holistic approach to lift and tonify your facial contours and effectively renew smooth and plump lines on the face and neckline. Includes: face cleansing, exfoliation, extraction, personalized mask, moisturizing, anti-wrinkle, relaxing facial massage. Brazilian women appreciate the value of a perfect body by using age-old treatments. Slimming treatments based on active ingredients in coffee are used with a very dynamic massage. Includes: body scrub, wrap, dermo-pétrissage massage. Inspired by an ancestral recipe used by Chinese peasants to protect their hands and feet in the extreme conditions found in the paddy fields, this ritual combined the ingredients found in the Chinese Pharmacopeia to give a comprehensive treatment for the nails, hands, feet and legs. Includes: hands and feet scrub, wrap, massage and enhancement beauty of the nails. Located in Salon. Discover this body purification process inherited from the Oriental North African tradition. This ritual promotes visible toning, silkiness and global detox to the skin while promoting a state of pure wellness. Includes: black soap body scrub with Kassa glove, Rhassoul wrap, relaxing Oriental massage. This hot oil tonifying massage from the millennia-old Indian tradition relies on a combination of invigorating strokes. Enjoy the vanilla and cardamom fragrances of this treatment that helps to relieve muscles, encourages sound sleep and leaves skin silky soft. Notes: Performed with Universal Ayurvedic Dry Body Oil, Eau de Bangalore and Three Ayurvedic Oils Body Balm. Enhancements not available. This massage shouldn’t be given in the case of hypertension, serious respiratory or circulatory problems or if the guest has a fever. Available in Couples Room or Spa Suite. Immerse in a world of tranquility performed with a traditional Tropical Nuts Melting Balm according to an ancestral ritual massage from Bali. This escape includes gentle Thai pulling and traditional stretching movements. Notes: Performed with Tropical Nuts Melting Balm and Eau de Siam. Enhancements not available. This massage is not suitable for someone with joint and cervical spine problems. Available in Couples Room or Spa Suite. Traditional Thai massage on a mat combines acupressure, energy balancing and stretching to help improve flexibility, relaxation and energy levels. Notes: Thai kimono is provided. A body massage treatment inherited from the Polynesian healers and inspired by Lomilomi, using deep pressure from the therapist’s forearms and long continuous movements. Tiaré flower notes accompany you along this blissful experience of instant relief. Notes: Performed with Sublime Body Balm &Oil mix, Orange Blossom Petals Rain Mist and Flowers Rain Tonic. Enhancements not available. This massage shouldn’t be given in the case of hypertension, serious respiratory or circulatory problems or if the guest has a fever. Available in Couples Room or Spa Suite. This decadent massage is the perfect balance of pampering and muscle work, as we drizzle warm milk and oil onto your body through a saturated towel. Then, warm stones are used to massage it all in. Notes: Performed with coconut oil, milk and lotion. Soft to deep pressure. Hot stones. Enhancements not available. Available in Couples Room or Spa Suite. Ashiatsu comes from the Japanese words “ashi,” meaning foot, and “atsu,” meaning pressure. With this service, our highly skilled therapists will use their feet to provide deep relaxation while stimulating the circulatory and lymphatic systems. Notes: Performed with cream. Enhancements available. Not available in Couples Room or Spa Suite. Join us for our most intuitive treatment. Focusing solely on your individual needs, your therapist will create a unique treatment experience using a combination of services to enhance your physical and mental wellbeing. Notes: Performed with oil or cream. Soft to medium pressure. Enhancements available. Available in Couples Room or Spa Suite. A deluxe essential oil application is deliberately sequenced to address your stress, toxins and inflammation and balance your systems. The direct application of oils to your back is light, followed by a full-body massage with your choice of pressure. Notes: Performed with aromatherapy oil. Soft to medium pressure. Available in in Couples Room or Spa Suite. Sports-specific technique that integrates stretching, passive range of motion and detailed massage on all the major muscle groups. Notes: Performed with oil or cream. Recharge your body with this powerful massage designed to alleviate deep-seated tension and muscular stress. This treatment uses deep movements and stretching techniques concentrated on specific areas of concern to help relieve common discomforts and sports related tension. A therapeutic and rejuvenating massage using hot desert stones and moderate to deep pressure to intensely soothe tired, aching muscles and aid relaxation. Includes hot stones. Enhancements available. A nurturing relaxation massage for women in their second or third trimester that helps alleviate the effects of pregnancy. 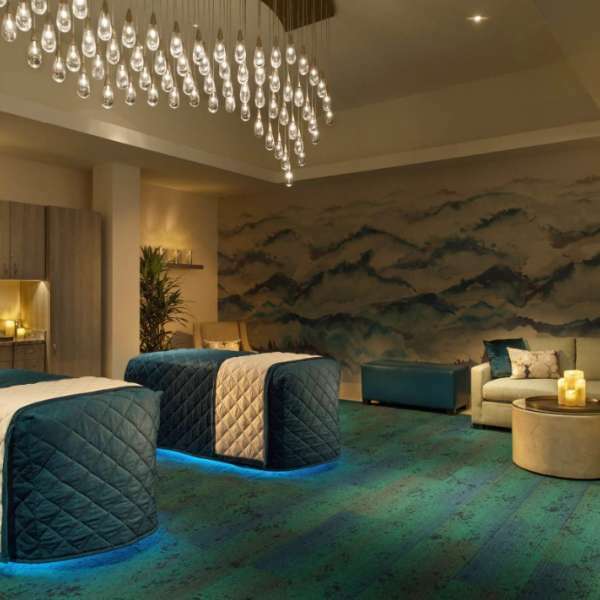 Inspired by the choreography of the Fountains of Bellagio™, four flowing hands perform your massage in perfect unison. A deeply relaxing treatment with benefits that can be felt throughout the body, stimulating reflex points and promoting health in organs via the body’s energetic pathways. Notes: Performed on feet and lower legs with oil or cream. Available in Ladies and Gentlemen Lounges. For busy professionals or active athletes, this express session will release muscle tension and stress. Particularly advised for after a working session. Notes: Performed with oil or cream. Enhancements available. Delight yourself in an ancestral ritual, inspired by a deeply rooted custom of body renewal from Java. With a fascinating earthy scent and a brilliant refining recipe featuring zesty spices and sea salts, you’ll awaken to satin-smooth skin and a stimulating sense of energy. Notes: Performed with the Aromatic Scrub with Spices, Eau Egyptienne and Three Ayurvedic Oils Body Balm. Available under the rain/In-Lounge Experience. A delicate yet effective body-polishing practice born of a Siamese ritual with an unctuous and finely grained "Papaya Purée" of an inviting dark tangerine color. Deliciously perfumed, skin is buffed to perfection to unveil the most superb radiance. Notes: Performed with Papaya Purée, Eau du Siam and Tropical Nuts Melting Balm. A bliss-inducing ritual from the Polynesian Islands, even for sensitive skin. This traditional preparation of Monoi made of macerated Tiaré blossoms, raw sugar, ground coconut powder and Noni fruit will regenerate skin and renew the spirit. Notes: Performed with Sublime Scrub, Orange Blossom Petals Rain Mist and Sublime Body Balm. Available under the rain/In Lounge Experience. This effective, detoxifying treatment envelops you in a rich seaweed mask to boost the elimination of toxins and fluids. Available in Ladies Spa Facilities. Discover this body purification process inherited from the Oriental Hammam tradition. The Beldi Black Soap is an ancient recipe that deeply exfoliates and satisfies skin hungry for silkiness once applied by an authentic Kassa glove. Notes: A black soap scrub with a Kassa glove. Kassa glove is offered to guest. Available in Ladies Spa Facilities. A purifying and detoxifying wrap using a therapeutic recipe of Rhassoul poultice. This natural Arabic clay applies visible toning, silkiness and global detox to the skin. You feel transported to the magical universe of the Hammam. Notes: A body wrap with Rhassoul clay. This aquatic session combines Zen Shiatsu and stretching while gently floating in our private 94° F pool. Strengthen your mind-body connection. Watsu provides a profound sense of relaxation. Notes: Performed in Aqua Room. Bathing suit required. 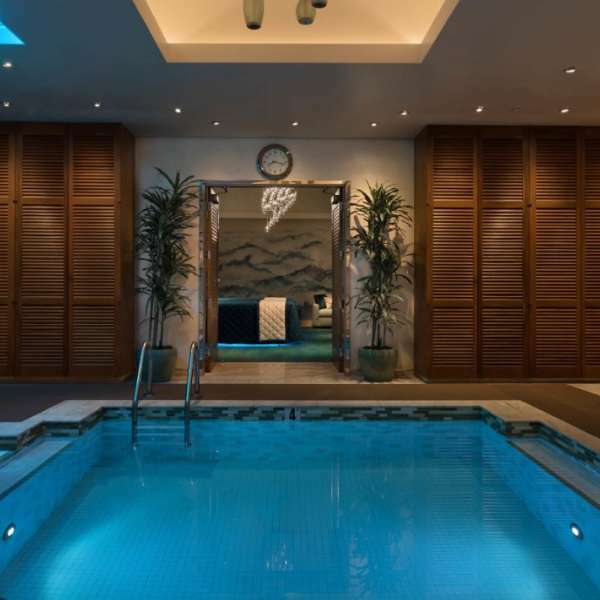 This groundbreaking aquatic therapy is like a sports massage in the water. Our special pool is heated at 94° F, and it is the perfect gravity-reduced setting for deep stretching, passive joint mobility and full body decompression. Available in Ladies Spa Facilities. Invigorating Under the Rain services are performed under the Vichy shower. The effect of water movement on your skin is to increase the blood circulation, enhance the benefits of products and soothe the nervous system, enabling your body to balance and your muscles to relax. essences. This experience awakens the senses to restore physical and psychic harmony. Notes: Includes a choice of phyto-aromatic shower and bath oils. Provided in a balneotherapy bathtub. It sounds scientific – because it is. Each person’s skin chemistry is different. Priori is skin science created to respond to your individual environment, nutrition and genetics. Our products decode your skin’s individual needs! Your skin responds in ways you’ve never seen before … because it makes beautiful sense. Includes: face cleansing, chemical exfoliation and peel, mask, moisturizer. Collagen peptides power volume for instant lift and visible tightening. Oxygen powers skin collagen boosting and smoothing peptides to target the appearance of expression lines around the eyes, lips and forehead while enhancing overall volume, hydration and vitality. Includes: face cleansing and extraction. Notes: Utilization of Oxygen Facial by Intraceuticals. The Intraceuticals signature facial deeply cleanses and balances without distressing the skin. Oxygen powers advanced hyaluronic technology with antioxidants and vitamins to enhance skin volume and deeply hydrate all skin types. Perfect to cool and calm stressed skin from sun or snow, or simply reset the travel-weary and overworked. Includes: face cleansing, extraction, oxygen aromatherapy, eye and lip treatment, relaxing hand and arm massage. If you dream of even skin tone, or are troubled by post breakout blues, unleash this series of power brighteners. Oxygen powers botanical brighteners and vitamins to refine skin texture and balance skin tone to provide, brighter more luminous, light from within the skin. Notes: Utilization of Oxygen Facial by Intraceuticals Opulence Collection (Illuminate-Brighten-Tighten). This signature Alpha Beta® professional peel immediately delivers smoother, flawless skin and restores its youthful glow with just one treatment. Fine lines, enlarged pores and discoloration are no match for this coveted treatment. Includes: face cleansing, steam, Alpha Beta peel, extraction, mask, moisturizer. Performed with Dr. Dennis Gross. Supercharge your skin with vitamin C — nature’s most potent and proven skin-brightening treatment. This high-performance facial is the go-to for combatting sun damage, reversing signs of aging and restoring luminosity for firmer, brighter skin. Includes: face cleansing, steam, Alpha Beta peel, extraction, mask, treatment, moisturizer. Comfort dry skin on the spot with this calming yet clinical facial. This treatment gently lifts away dry, dead skin. The skin is then drenched with a decadent, cooling anti-inflammatory mask and hydrating super treatments that soothe the skin, leaving it rebalanced, rehydrated and revitalized. Deep-cleansing treatment, skin perfector and “radiance booster” inspired by Balinese beauty rituals. Take full advantage of the benefits of the natural tropical flowers and natural AHA fruit acids active ingredients to restore purified and smoothed skin for a radiant complexion. Includes: deep cleansing, mechanical and enzymatic exfoliation, extraction, moisturizing. Notes: Available in Couples Room or Spa Suite. Based on an ancestral Balinese ritual, this treatment includes a purifying deep-pore cleansing and blends the extracts of five tropical flowers and a skin glowing patented ingredient, the Kombuchka™. A mesmerizing massage of the face, nape and shoulder muscles awakens skin vitality. Includes: cleansing, exfoliation, extraction, personalized mask, relaxing massage, rehydration. Ko Bi Do - Lifting & Plumping "Fountain Of Youth"
effectively renew smooth and plump lines on the face and neckline. Includes: cleansing, exfoliation, personalized mask, anti-wrinkle massage, moisturizing. 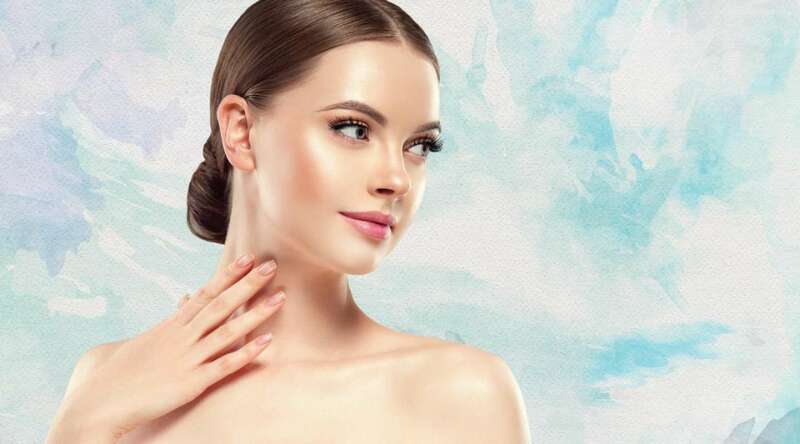 The Hydrafacial experience deeply cleanses skin, effectively removing dead skin cells and extracting impurities from the pores while simultaneously hydrating the skin with multi-action serums in a cooling moisture-infused treatment for a renewed complexion. 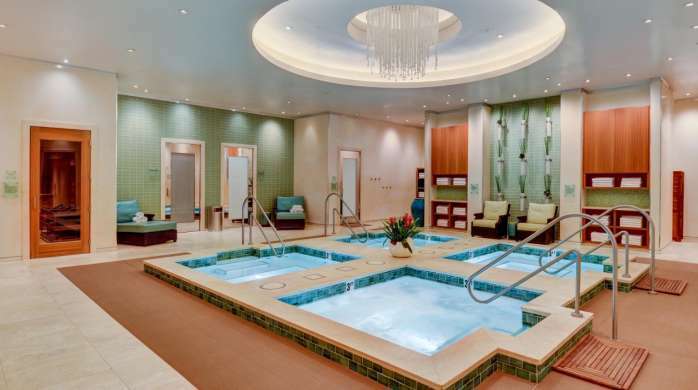 Notes: The 50-minute treatment includes a peel, facial massage, hand and arm massage. The 80-minute treatment includes a peel, facial massage, LED light therapy, foot and leg treatment. Includes: straight razor neck shave, trimming shave, trimming of ears, brows and nose. A must for every man. This relaxing and tranquil ritual starts with a refreshing warm towel infused with essential oils. The skin is cleaned and prepped for a straight razor shave. The face will be shaved one time with the grain and one time against. A cooling gel treatment is then applied to soothe and refresh the face, followed by a hot towel compress. Your service will conclude with a hydrating facial massage. Service includes brow, ear and nose trim with a straight razor cleanup of the neck and side burns. A hand remedy elevated to anti-aging facial standards for your abused hands. Mesmerizing phyto-aromatic scrub, repairing mask and relaxing massage are only some of the many steps of the best well-kept secret to unveil the genuine hands of an angel. Includes: hand treatment and manicure. Offer your tired and irritated feet an authentic foot vacation with a treatment palette of soak, scrub and wrap with an unctuous Chinese herbal and botanical cream, including a foot massage ritual of coziness and comfort. Includes: foot treatment and pedicure. Includes: foot soak, light exfoliation, foot and leg massage. Notes: Does not include filing of toenails, cuticle work or polish. This rehydrating ritual begins with a decadent cleansing milk to remove toxins, purify and balance dehydrated skin. A hydra-exfoliate is applied to gently exfoliate and soothe irritation. This corrective treatment incorporates high-powered booster serums and innovative hydration complexes designated to drench skin with a splash of thirst-quenching hydration. Effectively rehydrates the skin by 96%. Exhale and escape on a journey of the senses. The ritual begins with a dry brush exfoliation to slough away dry skin, followed by a light massage of fresh citrus essential oils used to invigorate and illuminate. A purifying mask is used to promote relaxation, smooth, tighten and tone. The ritual is finished with a hydrating massage of nutrient-enriched repairing oils. All chemical services do not include blow dry and style. Doesn't include wash and dry blow dry. Doesn't include wash and blow dry. Consultation required (the consultation fee will be applied toward service if booked). Our hair extension specialists are certified in the latest and safest application techniques. Whether you are looking to add volume or length or both, our specialist will recommend and guide you to what is the best application method for customized flawless extensions. Upgrade your treatments by choosing one or more of our carefully created service enhancements. Enhancements are available as incorporated additions to facial, body or massage services without adding additional time to the treatment. All enhancements must be booked and received with a treatment. Enhancements are not available to some treatments (see notes). Alpha Beta® Daily Peel is an incredible way to overhaul your complexion immediately. This is a patented two-step system that exfoliates first to bring a fresh new layer of skin to the surface. It makes skin even more responsive to other ingredients. Notes: Performed with Dr. Dennis Gross. Choose normal or strong. Instantly removes dead skin cells, build-up debris and pesky peach fuzz. It will reveal smooth, radiant and younger-looking skin. See an immediate difference with this micro-current facial muscle-lifting technology. Choose between brow, eye or jaw lift. Age-defying masks with nano particles to stimulate blood circulation, dramatically enhancing the skin’s ability to absorb collagen elastin and hyaluronic acid to diminish the appearance of fine lines and wrinkles. Notes: Available for face, neck, décolleté and eye. Using the strengthening properties of Moroccan oil with a deeply relaxing scalp massage to reduce tension, condition the scalp and leave you with beautifully healthy hair. Notes: Performed with Moroccan oil. Reveal brighter and smoother back, hands or feet with this exfoliating and nourishing enhancement. Perfect addition to any massage. Notes: Performed with Cinq Mondes. Fairly traded, sustainable oils join to detoxify, promote cell growth, reduce inflammation and improve blood flow, providing an immediate feeling of release with progression toward long-term holistic wellness. Notes: Performed with Yoga Balm. Smooth basalt stones radiate heat deep inside the muscles to relieve tension and stress. Ideal to supercharge your massage. Notes: Performed with hot stones for 10 minutes on one area. Enjoy a refreshing body exfoliation prior to any massage to instantly soften, smooth and revitalize your skin. Notes: Performed with a dry brush offered to our guest to take home. Add a mini facial to your service. Notes: Includes a cleansing, exfoliation and relaxing facial. To enjoy your spa experience to the fullest potential, please familiarize yourself with the spa guidelines. The services and facilities of Bellagio Spa are for guests 18 years of age or older. Access to salon services, however, are granted to guests 16 and older. Spa services should be scheduled in advance. The spa reservations agents can help plan your spa experience. Please notify the agent if you take medication or have high blood pressure, allergies, physical ailments, disabilities or are pregnant. While a few services should be avoided during pregnancy, there are treatments that can be enjoyed. If you prefer a male or a female therapist, please make your gender request at the time of reservation. We will always try to accommodate your personal preferences based on our daily schedule. Most body treatments are enjoyed without clothing. However, please wear whatever is most comfortable for you. During all treatments, the body is fully draped except for the area being worked on and during certain treatments where the whole body is worked on at one time. Spa robes and slippers are provided. Lockers are available for personal items. However, if you are a hotel guest, please leave valuable items in the safe in your guest room. We are not responsible for lost or stolen items. 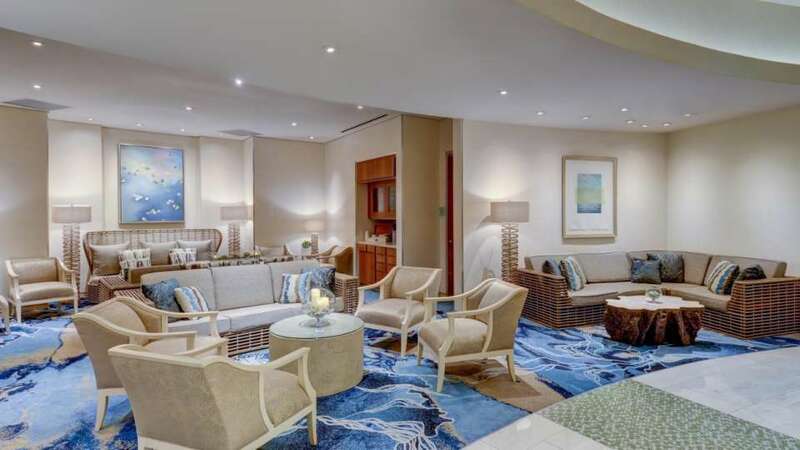 For your enhanced comfort and relaxation, we encourage you to arrive 30 minutes before your scheduled treatment to allow time to relax and experience our facilities. Arriving late for your scheduled treatment will simply limit the time of your treatment. It will end on time so the next guest is not delayed, and the full value of your service will be charged. Your Spa experience is your time, and you should delight in it to the fullest. If you experience discomfort due to room temperature, massage pressure, music volume or any other conditions, please notify your therapist immediately. A 20% service charge will be added to each service on your bill. Additional gratuities may be provided at your discretion. Spa services can be charged to your hotel bill. All major credit cards and cash are accepted. Please present vouchers, gift certificates or any loyalty cards at the time your services are rendered. Discounts do not apply to spa packages, promotions, special events or holidays. Gift cards are available. Prices and services are subject to change without notice. In-room treatments are available. Privatization or late openings are available on request. Please consult us for quotation. If you must cancel or reschedule your appointment, please notify us at least six hours in advance to avoid being charged the full-service fee. As part of your complete experience, our trained therapists and reservation agents will gladly recommend a skincare routine to enable you to continue the benefits of your treatment at home. Our products are available for purchase directly from the spa. The spa environment is one of tranquility and relaxation. Please respect other guests’ rights to privacy and serenity. We request that cell phones be turned off to maintain the peaceful atmosphere of the spa. Smoking is not permitted. Guests are prohibited from bringing any outside food or alcohol into the spa. Any guest appearing intoxicated will be denied access to the spa. Shaving is not recommended before pedicure service. If you choose to shave, please shave at least eight hours prior to service. Please notify the Salon two hours prior to your appointment time if you need to cancel or reschedule. If we do not receive a call, you will be charged 100% full payment for services not canceled in the time allotted. It is recommended that you do not shampoo your hair when having an up-do. This will help your style last longer for your special occasion. If you would like your hair washed before your service, please inform the salon receptionist when booking your appointment. There will be an additional charge. 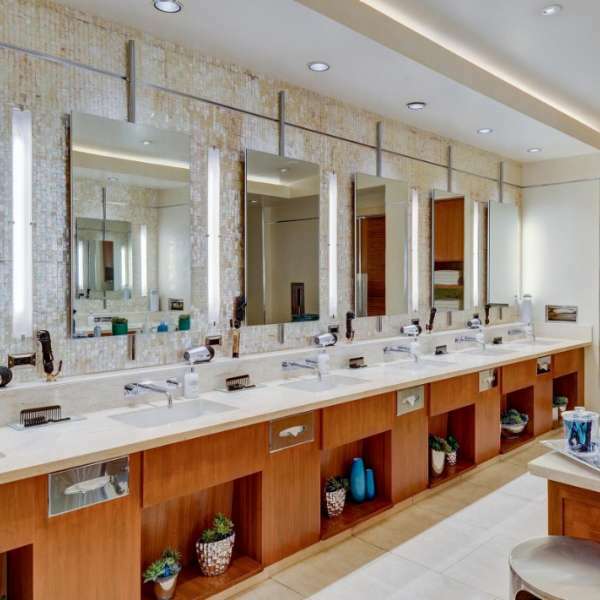 The Nevada State Board of Cosmetology prohibits any use of salon equipment by hotel guests. This includes blow-dryers, curling irons, make-up brushes, and nail implements. This is for the safety of our guests. If you are under the age of 17, parental supervision is requested when having any hair or chemical service. We recommend that you schedule all spa services before visiting the salon. We accept both registered and non-registered hotel guests. If you have posted a credit card to your room, this will allow you to charge services to your room. 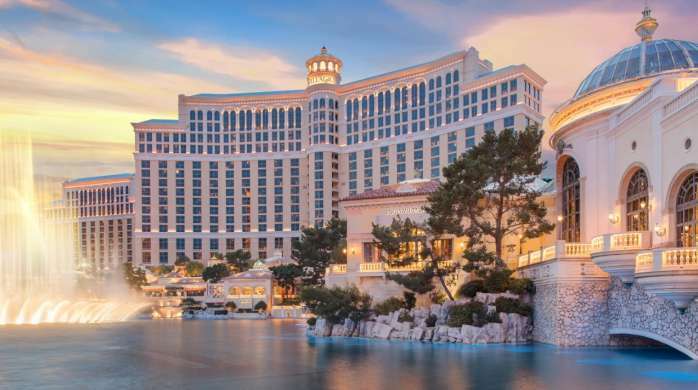 Any additional guests using Salon Bellagio must be added to your room as a “share with” in order to charge to your room. We accept all major credit cards, cash and gift cards purchased through the hotel. Gift cards can be purchased at the Spa and Salon reception desk. Gratuities are not included with any of our salon services. An image of the coed lounge. 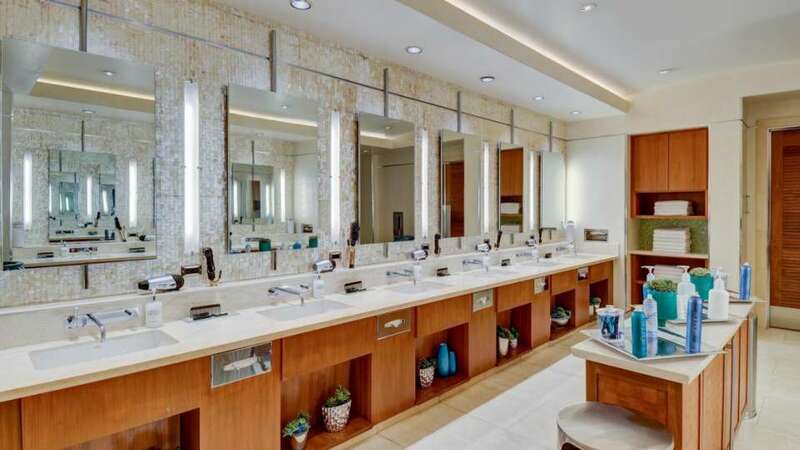 An image of the women’s vanity mirrors in the spa. 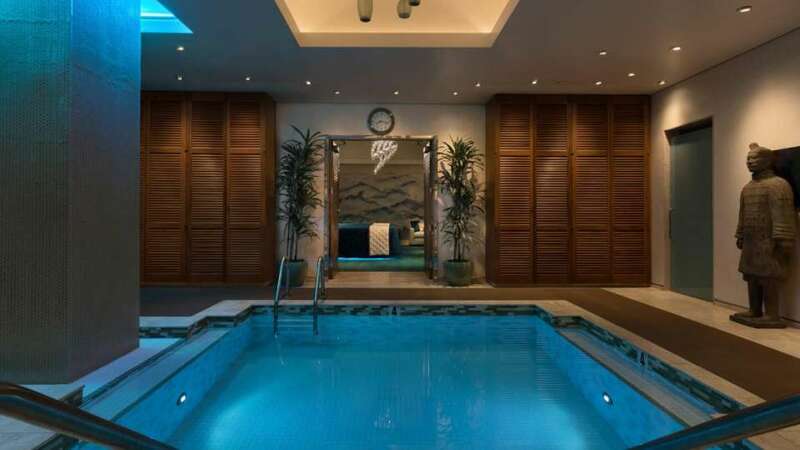 Image of the jacuzzi in the Spa Suite. 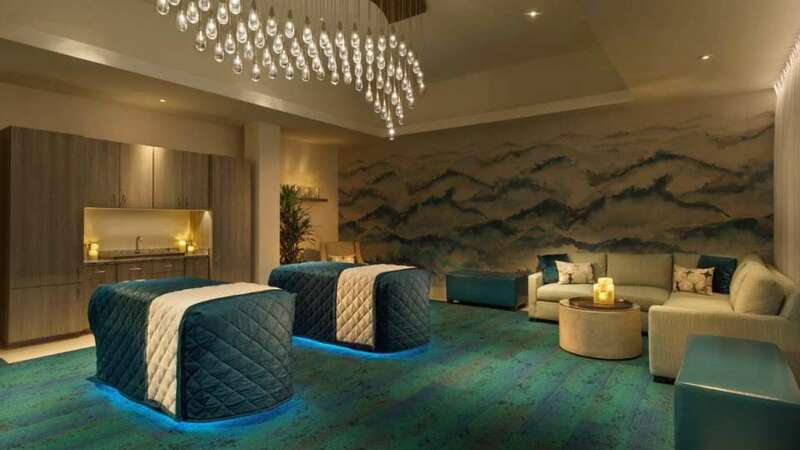 Image of the massage chairs in the Spa Suite. Walk into the lobby straight towards the Conservatory, and stay to the left. The entrance for the Spa, Salon, and Fitness Center will be on the left side just past OMEGA. Walk into the Via Bellagio Shops and immediately make a right. You will walk into the casino towards Lily Bar & Lounge, and veer left towards the Casino Cage. From the Casino Cage make a right and then and immediate left and walk past the Baccarat Bar towards the Lobby. From the lobby walk towards the Conservatory, and stay to the left. The entrance for the Spa, Salon, and Fitness Center will be on the left side just past OMEGA.